This is where the Monster that made Dr.Frank was hanging out while he was reorienting the doctor to the world of fine art on Artwanted.com.The monster really digs the digital images by all the wonderful artists here.The doctor digs photography the most. 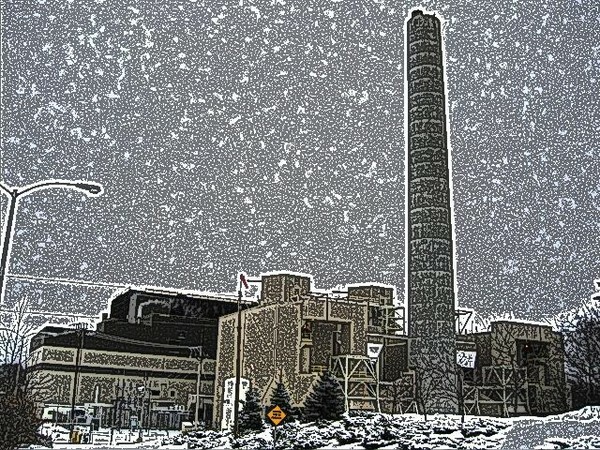 Artist Reply: It is winter and the good Monster has the generator running the plant.He got behind on his electric payments and it got shut off right before Dr. Frank was about to get his last electric juice up for maxium brain ignition.Good thing the back up generater has a full tank of fuel. Stay tuned for the next episode when Doctor Frank goes bananas on the monster and has to be saved by Captain Weirdo and his Space Rangers.